You have the right to request access to the information we have on you. You can do this by contacting us through our contact page on our website or at info@valentinebeats.com. We will make sure to provide you with a copy of the data we process about you. In order to comply with your request, we may ask you to verify your identity. We will fulfil your request by sending your copy electronically, unless the request expressly specifies a different method. For any subsequent access request, we may charge you with an administrative fee. If you believe that the information we have about you is incorrect, you are welcome to contact us so we can update it and keep your data accurate. Any data that is no longer needed for the purposes specified will be deleted. If at any point you wish us to delete information about you, you can simply contact us. Our website uses ‘cookies’ and similar technologies to enhance User experience. Cookies are small text files placed on your computer and mobile device by software that you install. They are widely used in order to make websites work, or work more efficiently, as well as to provide information to the owners of the site. Cookies may also be stored in your internet browser by or on behalf of third parties, such as Google or providers of advertising services. Authentication: To log you into our website and service and keep you logged in. Analytics: To help us understand how you use our website and services, and how often, so we can improve them to deliver a better experience for our users. To carry out research and statistical analysis to help improve our content, products and services. Google is certified pursuant to the Privacy Shield Framework Program and thus guarantees compliance with European data protection and privacy laws (https://www.privacyshield.gov/participant?id=a2zt000000001L5AAI&status=Active). Google uses this information on our behalf to analyse the use of our Online Offering by the users, to generate reports regarding the activities this Online Offering, and render other services relating to the use of this Online Offering and the Internet. For this purpose, pseudonymous user profiles can be generated from the processed data. We use Google Analytics only with activated IP anonymization. That means that Google abbreviates the users’ IP address within the boundaries of the EU member states or other countries who are members of the EEA Treaty. Only in exceptional cases will the entire IP address be transmitted to a Google server in the United States and abbreviated on said server. The IP address transmitted by the user’s browser is not consolidated or merged with other Google data. The users may prevent the storage of cookies via the corresponding settings in their browser software; furthermore, users may prevent transmission of the data generated by the cookies and relating to the use of the Online Offering to Google as well as the processing of such data by Google by downloading and installing the browser plugin available via the following link: http://tools.google.com/dlpage/gaoptout?hl=de. Based on our justified interests (i.e., interest in analytics, optimization and efficient operation of our Online Offering pursuant to Art. 6 (1) lit. f DSGVO), we use the marketing and remarketing services (hereinafter referred to as “Google marketing services”) of Google Inc., 1600 Ampitheatre Parkway, Mountain View, CA 94043, United States (“Google”). The Google marketing services enable us to display advertisements for and on our website in a more targeted approach and present users only with those advertisements that are potentially useful for them. If, for example, a user is presented advertisements for products for which he/she showed interest on other websites, this is commonly known as “remarketing.” For this purpose, Google directly executes a code when our or other websites, on which Google marketing services are performed, are accessed and so-called (re)marketing tags (invisible graphics or code, also referred to as “web beacons”) are integrated into the website. By means of these tags, a specific cookie is installed on the user’s device, i.e., a small file (instead of cookies, similar technologies may be used). The cookies can be used by various domains, inter alia, by google.com, doubleclick.net, invitemedia.com, admeld.com, googlesyndication.com, or googleadservices.com. This file records which webpages the user accesses, which content he/she was interested in, and which offerings he/she clicked; in addition, technical information regarding the browser and operating system, referring websites, time of the visit, as well as other information regarding the use of the Online Offering is recorded. The users’ IP address is recorded as well; however, within Google Analytics, we advise that Google abbreviates the users’ IP address within the boundaries of the EU member states or other countries who are members of the EEA Treaty and is transmitted to a Google server in the United States and abbreviated there only in exceptional cases. The IP address is not consolidated or merged with the user’s data from other Google services offered. Google may combine the aforementioned information with such information from other sources. If the user then visits other websites, customized ads may be displayed based on the user’s interests. The users’ data is processed on a pseudonymous basis within the scope of the Google marketing services. This means that, for example, Google does not process the name or email address of the users, but rather the relevant data on a cookie-related basis in pseudonymous user profiles. This means that, from Google’s perspective, the ads are not administered and displayed in respect to a specific identified person, but rather for the cookie owner irrespective of who the cookie owner is. This does not apply, if a user expressly agrees to data being processed without pseudonymisation. The information collected by Google marketing services is transmitted to Google and stored on Google servers in the United States. The Google marketing services we use include the online advertising program “Google AdWords.” When using Google AdWords, each AdWords customer is assigned a different “conversion cookie.” Thus, cookies cannot be traced via the websites of AdWords customers. The information collected by means of the cookie serve the purpose of generating conversion statistics for AdWords customers who opted for conversion tracking. AdWords customers receive information regarding the total number of users who clicked on their ad and were redirected to a page with a conversion tracking tag. However, they do not receive information based on which the respective users can be identified personally. We can also use the “Google Optimizer” service. Google Optimizer allows us to trace based on so-called “A/B testing” how various changes affect a website (e.g., changes in input fields, the layout, etc.). For these testing purposes, cookies are installed on the users’ devices. Only pseudonymous user data is processed. Furthermore, we may also use “Google Tag Manager” to integrate and administer the Google analytics and marketing services on our website. If you do not wish for Google marketing services to present interest-based advertisement, you may use the Google preferences and opt-out options: http://www.google.com/ads/preferences. Based on our justified interests (i.e., interest in analytics, optimization and efficient operation of our Online Offering pursuant to Art. 6 (1) lit. f DSGVO), we use social plugins (“plugins”) of the social network facebook.com, operated by Facebook Ireland Ltd., 4 Grand Canal Square, Grand Canal Harbour, Dublin 2, Ireland (“Facebook”). The plugins can display interactive elements or contents (e.g., videos, images, or text) and can be identified based on one of the Facebook logos (white “f” on a blue tile, the terms “Like,” “Gefällt mir,” or a “thumbs up” icon) or are marked by the tag “Facebook Social plugin.” For a list and the design of the Facebook Social plugins see: https://developers.facebook.com/docs/plugins/. Facebook is certified pursuant to the Privacy Shield Framework Program and thus guarantees compliance with European data protection and privacy laws (https://www.privacyshield.gov/participant?id=a2zt0000000GnywAAC&status=Active). If a user accesses a function of this Online Offering with such a plugin, the user’s device runs a direct link to the Facebook servers. The content of the plugin is transmitted by Facebook directly to the user’s device and integrated into the Online Offering. For this purpose, user profiles can be generated from the processed data. Thus, we have no influence on the scope of the data collected by Facebook via this plugin and therefore notify the user based on what we know. As a result of the integration of the plugin, Facebook receives the information that a user has accessed the corresponding page of the Online Offering. If the user is logged into Facebook, Facebook can attribute the visit to the user’s Facebook account. If the user interacts with the plugin, e.g., uses the ‘like’ button or leaves a comment, the corresponding information is transmitted directly from the device to Facebook and stored there. If a user does not have a Facebook account, it is still possible for Facebook to identify and store the user’s IP address. According to Facebook, IP addresses are stored in Germany only on an anonymous basis. For information regarding the purpose and scope of the data collected and the processing and use of the data by Facebook, as well as the corresponding rights and preference settings to protect the users’ privacy see Facebook’s data privacy policies: https://www.facebook.com/about/privacy/. If a user has a Facebook account but does not wish for Facebook to collect date via this Online Offering and links them to his/her user data stored in the Facebook account, the user must log out of Facebook and delete his/her cookies before accessing our Online Offering. Additional settings and opt-outs for the use of data for advertising are available in the Facebook profile settings: https://www.facebook.com/settings?tab=ads or via the U.S. page http://www.aboutads.info/choices/ or the European page http://www.youronlinechoices.com/. The settings are not platform-based, i.e., they are applied across all devices, such as desktop computers or mobile devices. Due to our justified interests in data analysis, optimization, and efficient operation of our Online Offers and for these purposes, “Facebook Pixel” of the social network Facebook operated by Facebook Inc., 1 Hacker Way, Menlo Park, CA 94025, United States or, if you reside in the EU, Facebook Ireland Ltd., 4 Grand Canal Square, Grand Canal Harbour, Dublin 2, Ireland (“Facebook”) is used. On the one hand, Facebook Pixel enables Facebook to identify the visitors of our Online Offering as the target group for the presentation of advertisement (so-called “Facebook ads”). Hence, we use Facebook Pixel to display our Facebook ad only for those Facebook users that showed interest in our Online Offering or show specific characteristics (e.g., interest in specific topics or products identified based on the websites visited) which we transmit to Facebook (so-called “custom audiences“). Facebook Pixel also enables us to ensure that our Facebook ads meet the potential interest of the user and is not deemed harassment. Furthermore, Facebook Pixel helps us verify the efficiency of the Facebook ads for statistical and market research purposes since we know whether users were redirected to our website after clicking on a Facebook ad (so-called “conversion“). Facebook Pixel is directly integrated by Facebook upon accessing our webpages and can store a so-called cookie on your device, i.e., a small file. Once you log into Facebook or visit our page while logged into Facebook, the visit of our Online Offering is recorded in your profile. Your data is collected for us on an anonymous basis; i.e., we cannot identify the users. However, the data is stored and processed by Facebook, so that it can be associated with the respective user profile and used by Facebook or for their own market research and advertising purposes. In the event that we transmit data to Facebook for verification purposes, such data is encrypted locally on the browser before being transmitted to Facebook via a secured https connection. The sole purpose is to verify such data based on the data encrypted by Facebook. Furthermore, we also use the Facebook Pixel extension “advanced matching” for the (encrypted) transmission of data (such as phone numbers, email addresses, or Facebook IDs of the users) to create target groups (“custom audiences” or “look alike audiences”) to Facebook. For more information regarding “advanced matching“ see: https://www.facebook.com/business/help/611774685654668). You may opt out of the collection of data by Facebook Pixel and the use of your data to present Facebook ads. For information on how to change your settings of the types of ads to be displayed within Facebook see the webpage set up by Facebook and the follow the instructions on the settings for user-based advertisement: https://www.facebook.com/settings?tab=ads. The settings are not platform-based, i.e., they are applied across all devices, such as desktop computers or mobile devices. To prevent the collection of your data on our website via Facebook Pixel, click the following link: Facebook-Opt-OutNote: If you click the link, an “opt out” cookie is stored on your device. If you delete the cookies in your browser, you will have to click the link once again. In addition, the opt out only applies within the browsers you use and within out web domain on which the link was clicked. 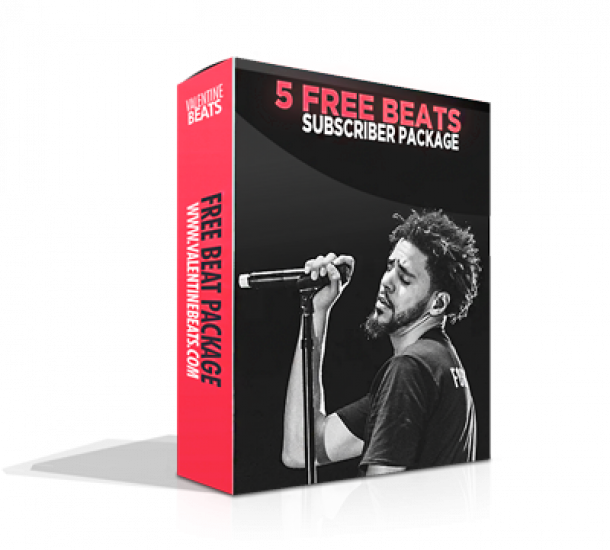 If you have subscribed to our newsletter to receive free beats, updates on our music, discounts or giveaways, your provided name and e-mail address is stored with the email marketing service Mailchimp. You can cancel our newsletter at any given time, hence withdraw your consent for data processing and storage. By unsubscribing our newsletter service all your personal data will be removed from our database and MailChimp (including all statistics, reports and analyzes connected to your individual data). Please note that, due to technical reasons, it is not possible withdraw your consent for MailChimp’s analyzing tool, without unsubscribing our newsletter. To cancel our newsletter, please click on the unsubscribe link placed at the bottom of each newsletter or simply send us an e-mail. In accordance with the provisions of the EU Data Protection Regulation (GDPR), which will apply from 25 May 2018 onwards, we hereby inform you that our request for your consent to processing your personal data is based on Articles 6 and 7 GDPR. The use of the newsletter service provider MailChimp, its statistical survey and analyzing tools, as well as our recording of the registration process, are based on our legitimate interests in accordance with the legal requirements of GDPR. Our main concern is to operate a user-friendly and secure newsletter system, serving our business interests and satisfying the high expectations of our users.